Two wins in one week! Posted by Jess on 28/11/2018. We have celebrated with some of Bath’s finest over the last week, acknowledging the dynamic businesses and entrepreneurs who operate within the city and surrounding areas, making it a hub for creativity, culture and industry in the South West. 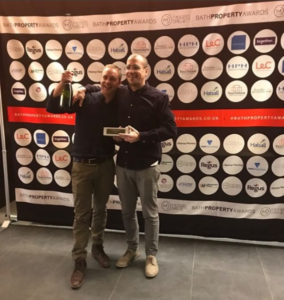 Winning the ‘Supplier’ category at the Bath Property Awards on Friday 23rd November was a fantastic way to round off the week! We were proud to be acknowledged by the awards as one of those clever companies helping to shape and protect Bath’s beautiful infrastructure. This win was swiftly followed by being crowned the ‘Creative Sector Business of the Year’ at the Bath Chronicle Business Awards on Tuesday 27th November! The Bath Chronicle Business Awards celebrate business success across the city and surrounding areas. 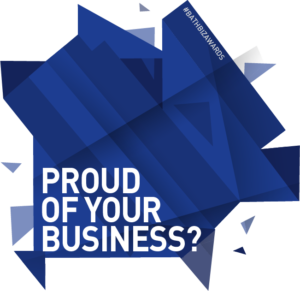 The awards are now in their 7th year and have seen a wide range of businesses winning awards in that time. This award was for any business, irrespective of size, which has been successful in the creative sector – including but not limited to design, marketing, advertising, publishing, media and software – within the Bath area in the past year. We are incredibly proud of our recent award wins; they are an amazing acknowledgement of all the hard work put in by our dedicated team to allow our business to continue to create and handcraft high-quality, considered furniture for valued clients far and wide.